Using the Discount Codes add-on for Paid Member Subscriptions you can now limit discount code uses per user when signing up for a paid subscription plan. Discount codes are a great incentive when trying to attract new subscribers to your membership site. There are however a few scenarios in which users may abuse the use of a certain code for accessing the benefits of a paid subscription (like restricted content or member-only products). 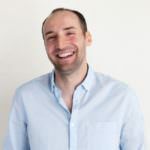 Let’s say you’re using discounts as a means to attract new users, giving them a free week subscription (instead of a free trial) or an initial price reduction. This shouldn’t be valid for renewal payments or in case they cancel their subscription and try to sign up again. It can be easily achieved by limiting the number of discount uses per user to a certain number, 1 in this case. This way each user (email address) will be limited to applying and using the discount code once. First you’ll need to install and activate both Paid Member Subscriptions and the Discount Codes add-on. The exact steps can be found in our documentation. 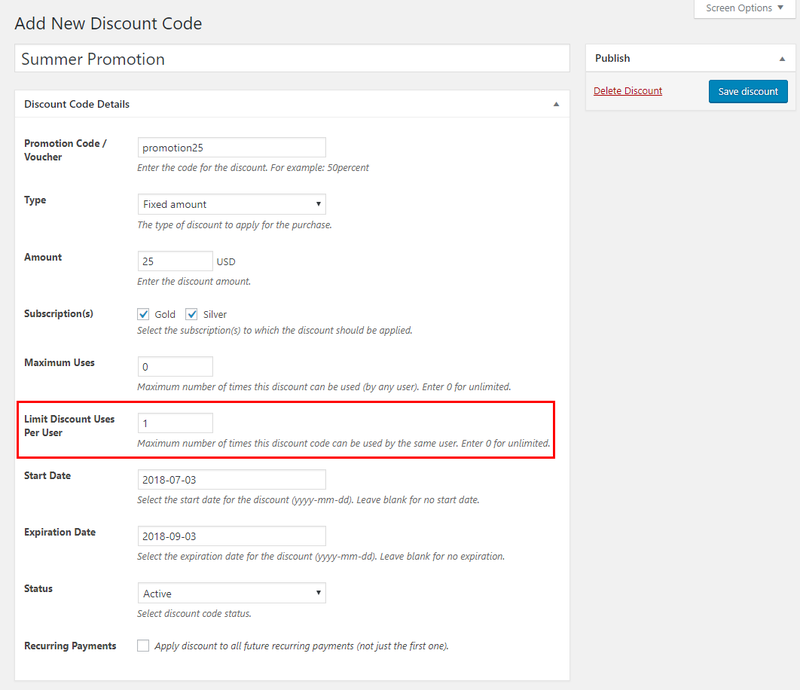 When creating a new discount code you have the option to “Limit Discount Uses per User”. This option is set to 1 by default. You can increase this number or make it 0 in case you want the user to use a certain discount code as many times as he wants. If you’re looking to run a promotion for new subscribers only, you’ll have to set the “Maximum Uses” to 0 (unlimited), while making sure to “Limit Discount Uses per User” to 1. Here’s how an existing member trying to use this discount code more than once will be notified in the front-end. You can modify the discount button text, as well as messages using the Labels Edit add-on. 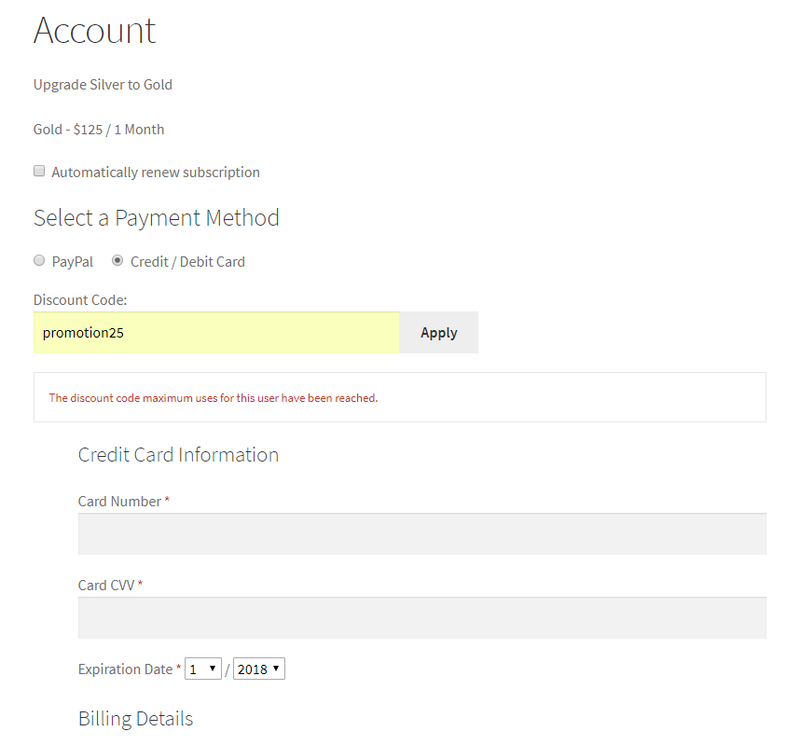 This discount validation is done whether the user cancels and after wants to (re)sign-up, upgrades to a different subscription or tries to renew his existing subscription. So, if you’re looking to limit the discount code uses per user on your membership site, you can easily achieve this using the Discount Codes add-on. Make sure to check out Paid Member Subscription Demo to see it in action.